*Please note that this is a transcript of the latest episode of The Guy Blog Podcast, find it on iTunes or the RSS Here. Welcome to another episode of The Guy Blog Podcast, as always I’m your host, Orlando. 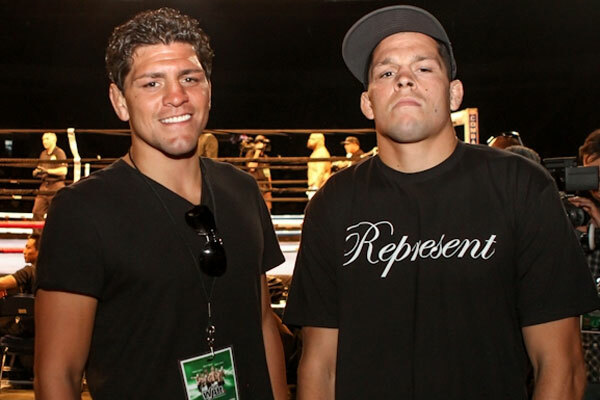 Today we’re going to be talking a little bit of MMA, the UFC, and we’re going to be focusing on the Diaz brothers. So why the Diaz brothers? 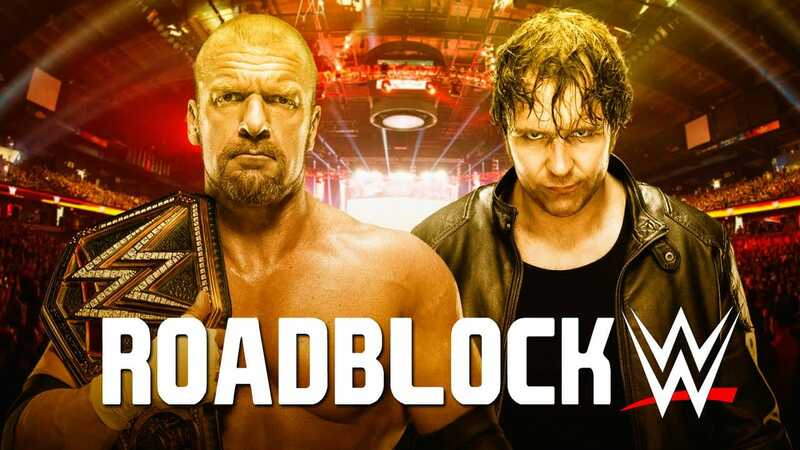 Well, because in a year where the UFC has found itself without Ronda Rousey or Conor McGregor, two of their biggest pay-per-view names, it seems fitting to talk about two of the biggest name that they have available to them and that they refuse to use. In a year where so far the numbers of their pay-per-views have really, really gone down, I mean, by looking around you can see that they definitely have big-time fighters on the roster, they do have Cruz and TJ, they do have Jon Jones coming back, they have dc but at the same time you know names like Luke Rockhold and even Michael Bisping are not big-time sellers. They’re not going to do a million pay-per-views, very few fighters will. However, if you have the chance to have a fighter that could possibly get you there, why wouldn’t you take that opportunity and test it out? Those are my thoughts. 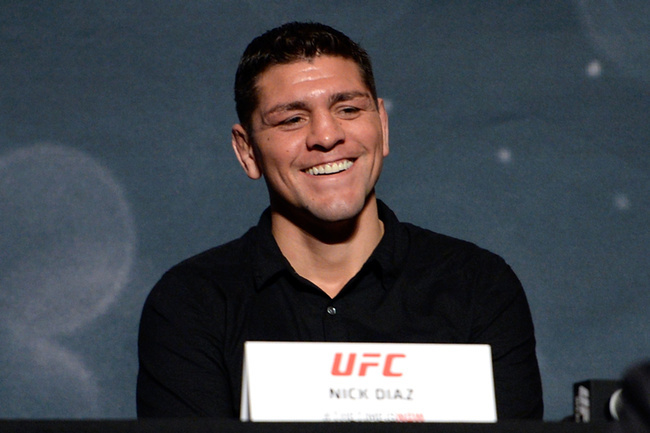 When it comes to the UFC, they seem to have a legitimate lack of respect for the Diaz brothers, and I don’t know why. Nate Diaz has helped Conor achieve his biggest pay-per-view numbers ever. And you know, we’ve seen what Conor can do on his own, we’ve seen the numbers Conor can do regardless of who he’s fighting, but when two of his biggest numbers are achieved versus the same opponent, that means that their opponents’ name carries some weight, no matter how you put it. Now, with the story coming out earlier this week of UFC 209, the zip code where you know the Diaz brothers basically represent, and the UFC and Dana White didn’t so much as give them a call to try to set up a fight for that night, seems, we can say disrespectful but I’m big on business and it seems like very very bad business. I’m not saying that the UFC should look to give the Diaz brothers everything they want, but they should give them what they deserve. What they deserve is some respect, some acknowledgment, and offers. If you’re going to say they’re not taking fights, you can’t say that if you’re not offering them real fights. You can’t say that when you haven’t given them a chance to sell. It’s even worse when you say that Nate Diaz doesn’t deserve pay per viewpoint when he’s been 50% of 2 of your biggest pay-per-views. Not only that but that his tv ratings tend to be the highest rated shows in your history, they break the top 10 easily, all of them. 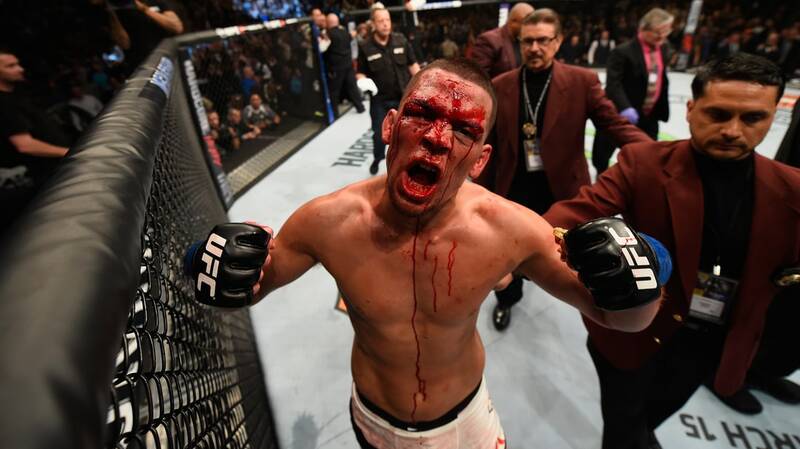 So to say the Nate Diaz is not deserving of receiving an opportunity to earn pay-per-view points, to be the A-side on a pay-per-view, to especially be on something like 209 in a year like this, where the biggest name you have is GSP and he’s talking about not fighting until the fall, why wouldn’t you risk a pay-per-view to see if somebody like Nate Diaz can do 500 to 700,000 sales, which would be an astounding number by UFC standards and in general 2017 pay-per-view standards, I don’t understand it. When you see the PPVs they’re putting together, there are very good fights and there are very good fighters coming up but none of them have the name recognition of a Diaz brother, that’s a fact. The fact that you see, you now Nate Diaz posting pictures with Dave Chappelle, that you see superstars from other mediums being gravitated towards the Diaz brothers, it just, I don’t understand it from a business point of view. You might not like them you might not like their attitude but you know they can be hard to work with but a business especially in the fight business you’re just dealing with alpha personalities. It might be hard to work with but there’s money in them there’s money to be made there and Dana White seems to, because he already made his money on the UFC deal, to be willing to be even harder to work with people that he does not want to work with. So Conor represents a ridiculous amount of money for the UFC so he’ll get what he wants. Diaz, because they haven’t tried, him they don’t know how much money he really represents for them, so he’s willing to let him sit by the wayside it’s very strange because just because you don’t know how much he’s worth… I mean we know we’ve heard of GSP taking fights looking at contracts of who he should fight next and seeing projections brought by the UFC of how much each pay per view versus each opponent is expected to do. And you’re telling me that they can’t find out you know just how marketable the Diaz brothers are? That’s ridiculous. They’re from Cali, last name Diaz, they can represent minorities, their mainstream. Yes, they like weed but you know what? They also like to eat healthily, they’re vegans or vegetarians, they do triathlons, they train kids and they do a lot of positive things. They are the representation of the opportunities that this country represents and I know I used represents twice but you know what I’m saying. They are everything that represents the American dream in the UFC and to be honest they haven’t f***** up as bad as Jon Jones, they haven’t messed up as bad as you know other fighters that get caught with you know ped’s and those fighters get chances. However it seems that these brothers are not getting the benefit of the doubt despite the fact that they have an amazing the recognition, I just don’t get it. It doesn’t seem like a good business to me it doesn’t make sense and it doesn’t make cents for the UFC to let money just sit. If this were a year where you had Anderson Silva at his peak, GSP going on, Ronda Rousey and Conor McGregor I would understand you being like I’m going to have a hard line I don’t deal with these guys I’m tired I talked to them we seem to come and go back or whatever, I would understand that. But in a year when everybody that is somebody is not available, your pay per views are not doing well, why you would not use every name you have available that’s willing to fight? I mean the Diaz are asking for a lot of money but at the same time why don’t you just tie it into pay-per-view points. You’re saying they’re not worth it but I’m saying they are. I’m saying why don’t you as the UFC say “we’re going to take a risk on you, you need to take a risk on yourself. We’re not going to pay you a million but how about this, we’ll pay you $400,000 and instead of 2 pay-per-view points, we’ll give you 4 pay-per-view points. If you think you can sell that much, you’ll more than make up what you’re not making on the front end.” Why wouldn’t they do that? That makes no sense, so I don’t know what’s going on. It seems like it’s a lot of stubbornness. It seems like stubbornness that the new owners shouldn’t be able to afford but that Dana White can, and maybe they’re not paying as much attention as they should to their 4 billion dollar investment because half the year is almost done and they have not had any superstar stellar pay-per-views. It doesn’t look like I’m going to have it from Conor. Because if Conor gets to box this year I don’t see a scenario where he will make, you know, 8 figures in a boxing match, high 8 – maybe 9 figures in a boxing match, I don’t see how he would come back to fight in the UFC in the same year. I mean the man just made what let’s say twenty million off of his last UFC fight, is sitting down chillin’, no issues, not thinking about anything related to fighting in the UFC trying to get you know a hundred million dollar deal that looks very plausible. You think that if he gets that deal he won’t sit out for another year to get the best deal possible out of the UFC? He will let the UFC wither and you know he’ll leave them hanging in the wind trying to get him to come, back begging for him to come back until he gets the amount of money that he thinks he deserves. So if you think that he’s just going to talk to me whether and, maybe not September because it looks like it’s going to be triple G versus Canelo in September, but let’s say you know anywhere from here to the end of the year at any time that happens, do you think that he’s just going to turn around and do a 10-week camp to come and fight in the UFC for less than half the money that he just made in a boxing match? Hell no, he will not do that. I doubt it so very highly. So I don’t understand. I mean the best thing is a Diaz offer, besides the fact of you know, the fact of their names is if you have a fight with Nate Diaz versus for example Tony Ferguson, you’re building Tony’s reputation, your bringing his name into the spotlight if he wins, there, you got your big star that you can work with. If it’s not him, how about the other fighters on the card that people will you know they will watch, this isn’t boxing yet, so they will watch an entire fight card and learn about at least two or three more fighters that have an opportunity to really show off in front of a new crowd that would otherwise ignore them. Why wouldn’t he take that opportunity? As a business and as the type of business that the UFC is, sometimes you have to lose money to make money, you have to invest money to make money, and yes, they made a 4 billion dollar investment but you know what maybe you should think of a pay-per-view with the Diaz brothers and say “you know what, we can afford to break even 1 month if it’ll build up 4 more stars that we can then have a few more fighters that would help us do consistently 300000 each pay-per-view, 300-500, and maybe break out the next superstar. Instead, you’re just fighting against them, you’re not using them for…. Their undoing UFC on Fox, they’re not doing any tv fights, they’re not doing any pay-per-view fight so we’re not seeing them anywhere, however, they managed to keep themselves in the news and you’re not getting any of the benefits. I don’t understand how that’s good business. So the UFC you really needs to look around and be honest with themselves. Dana White needs to look around and be honest with himself. Paige Van Zant lost, Sage Northcutt lost, these superstars that you were banking on are not being developed the right way. They’re too young, they’re not ready. I’m not saying they will never be but they’re not ready now, they’re not pay-per-view superstars now. You have a couple of them that can make you money and for whatever personal reason, because it can’t it does not sound in any way shape or form as a business decision, for whatever personal reason, you are not taking advantage of it. That is absurd. 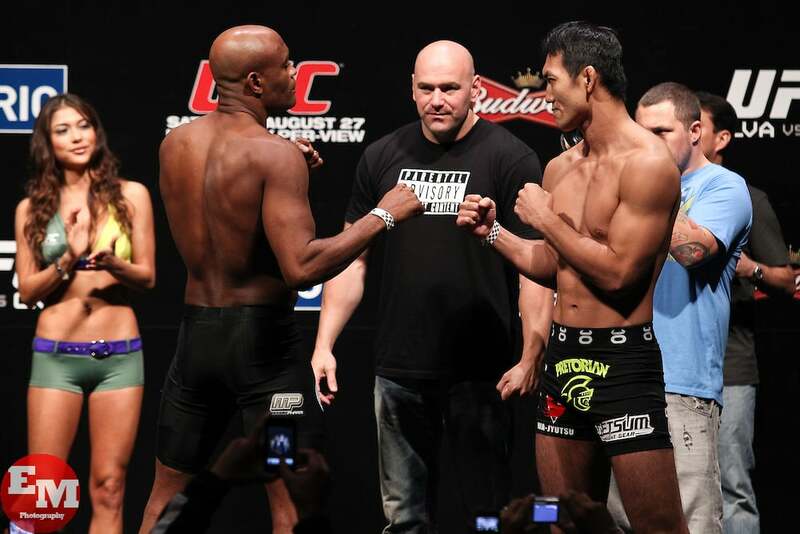 The UFC needs to start making money, pay-per-views needs to start selling. For that to happen you need to use every name you have. You have the Diaz brothers under contract, they’ve made enough money where, and they have a lifestyle where, they’re not like McGregor. They’re not spending it like crazy, so they can sit out for 2 years straight and be pissed off about it but they’re still living comfortably for the rest of their lives because they’re not spending like crazy. So who’s winning in that situation? Because from their point of view they are not losing because they’re comfortable, they’re set but the UFC is losing from not taking advantage of their name recognition. Even worse, they’re losing because every time their name comes up is with something that has nothing to do with the UFC. It’s not to promote any upcoming fights, it’s not to promote any upcoming shows. So these guys are out there getting you know, moving around, being known by celebrities, getting to know celebrities but the UFC is getting no benefit from it. How is that a smart move? I don’t understand. So I would love to hear what your opinions are on this, what do you think about the situation. But it really does seem not like an unfair situation, not like I personally I’m devastated situation, it just seems like a bad business situation that the UFC refuses to use the Diaz brothers to make them money.